Outrage after vandals hack down memorial tree in senseless attackMemorial Tree Marston. PARISH councillors have spoken of their disgust after vandals hacked down a memorial tree erected in memory of a fellow councillor who died two years ago. Old Marston Parish Council’s Mortimer Hall recreation ground has been the site of repeated vandal attacks in recent weeks. Trees have been cut down or hacked with an axe, including the memorial tree put up to remember community stalwart Roy Jones who died in May 2014 aged 78. As well as the willow memorial tree being destroyed, a picnic bench and gate were also damaged in the attack, and police are now investigating. Marston councillor Mick Haines said he was outraged by what had happened. He said: “It is horrible. It is absolutely disgusting. 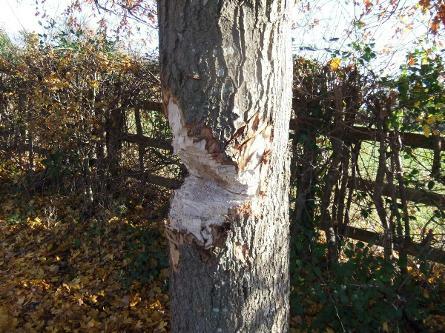 “To have Roy Jones’ tree chopped down like this is just scandalous. “That was paid for from the community budget and we had a proper service for him and his widow must be really choked up about it. “It’s only recently I have heard about vandalism happening and it seems like they were targeting the parish council. They have done a proper job on cutting the trees. “I couldn’t believe it when I saw it and for that to happen, I just couldn’t believe it. “It was horrible because for years nothing had happened and then suddenly for the last few weeks this has been happening. Parish council clerk Tim Cann has also backed introducing security cameras. He said: “It looks like they started to cut them down before giving up, and a gate has come off its hinges. “A picnic bench has been damaged and the memorial willow has been hacked up. “My first thought was it was someone or kids who didn’t have anything better to do but it just seems a bit more than that. “To throw an axe like that you need a fair amount of strength. “This has never happened before. Thames Valley Police said they were aware of multiple reports of vandalism and they were investigating. Spokesperson Jessica Rodgerson said: “Local neighbourhood teams have been out following up reports of vandalism in Boults Lane Playing Field, Marston and Mortimer Hall Park, Marston earlier this week. 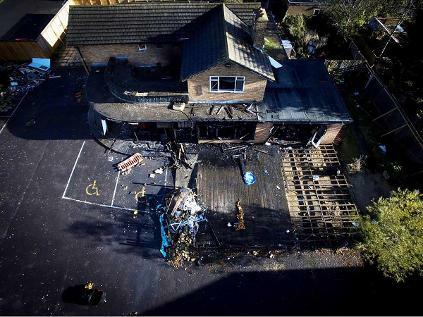 A BELOVED former pub in Oxford has been torn apart by an arson attack. The Jack Russell in Marston was half-destroyed in the fire just before midnight. More than 30 firefighters battled the blaze into the small hours of this morning. Oxfordshire Fire and Rescue Service said there were 'signs that people had recently been inside'. Police have said the building "sustained significant damage" and are now hunting for the arsonist, but officers said no-one was injured. Marston resident Joshua Oxendale was alerted to the blaze last night when he heard fire engine sirens screaming past his house on nearby Mortimer Drive. This morning he captured these incredible drone photographs of the damage. The 23-year-old said: "When I went out last night the entire pub was up in flames, there were about four fire engines and an ambulance. "It was huge, we thought the pub was near-enough burnt to the ground." The attack comes after years of campaigning by locals first to get the pub re-opened then to get it turned into a community facility. Mr Oxendale, who has lived in Marston for seven months, added: "It's horrible because I know people wanted it to become something for the community, and that would have been great. "I was getting fed up with driving past and seeing kids just sat on old sofas outside this empty, derelict building." Police are now appealing for witnesses to the attack. Investigating officer PC Adam Scarratt, based at Cowley police station, said: "I would like to speak to anyone who saw anything suspicious in the area at around the time of the incident. "I would also appeal to anyone with any information about what happened to speak to officers." The Jack Russell Pub, in Salford Road, has stood derelict since it was sold by brewery Greene King in October 2015. The owner submitted a planning application this year to transform the site into 16 flats and 19 car parking spaces. That application was due to be decided by Oxford City Council this week until the application was withdrawn. Oxford city councillor for Marston Mick Haines, who has fought the housing plan from the off, welcomed the news the plan had been withdrawn, saying "Hopefully now we can get a public place there or something for the community". 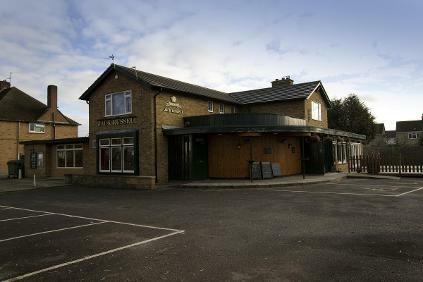 Marston has seen a wave of pubs close down in recent years, including The Friar, on the corner of Marston Road and Old Marston Road, which was demolished in 2013 and turned into the Friar Court flats. The Bricklayers pub, in Church Lane, also closed in 2010 and subsequently became a housing development. The Cavalier pub, in Copse Lane, followed shortly afterwards and was replaced by flats after being demolished in 2012. A joint investigation by the police and fire service has concluded that the fire at the Jack Russell was arson. Incident commander Paul Webster said: "Thanks to the swift action of fire service crews the incident was brought to a safe conclusion. "I would recommend that anyone who has responsibility for an unoccupied building ensures that their premises are kept secure to reduce the risk of arson." A CITY councillor has praised the community after launching a petition against early plans for transform a former Marston pub into flats. 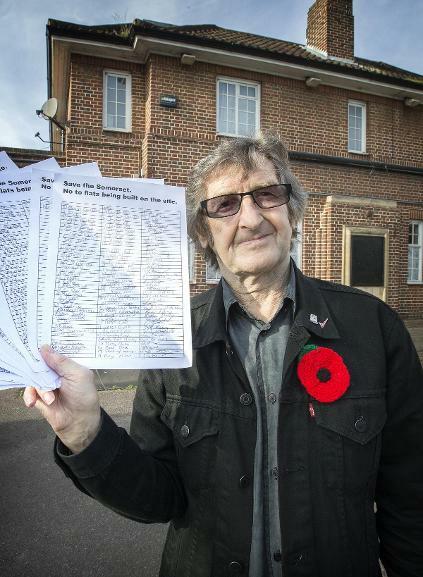 Mick Haines was out on the streets of Marston last month handing out his petition ‘Save the Somerset – Say No To Flats’ and says he managed to gather 360 signatures for his efforts. The petition is opposed to plans to turn the former Somerset pub at Somerset House into housing, although no submission has yet been made to the council. Mr Haines said: “It was really successful and everybody I spoke to thought it was a very good idea. “We really need to know what’s going to happen with it and the people need something there. “Now it is just an eyesore and nobody knows what is happening with it. “We don’t want flats there because we have got a lot of flats at the moment and we would really like to keep the pub if we can. We are losing pubs left right and centre at the moment. The petition follows a decision by Oxford City Council to allow for the complete transformation of one of Lye Valley’s last remaining pubs into housing. At an East Area Planning Committee last week councillors pushed through plans for the conversion of the Fairview Inn pub. After the application was approved owner Kuldip Turna said he would live in the property with his wife, three children and his mother. Old Marston Parish Council welcomed the news that the Jack Russell in Salford Road, one of the few pubs left in the area had been saved. Vice-chairman Duncan Hatfield said: "The size of the development was huge and it just wasn't right really. "A lot of people felt it was not right for the area and didn't want it. A lot of people I have spoken to would like to see more of a community facility there and not just housing. 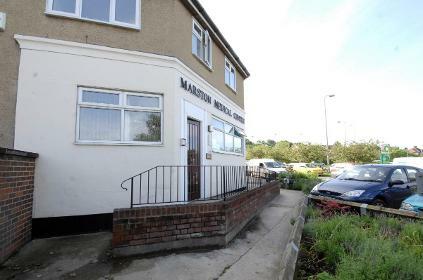 A LONG-RUNNING Marston surgery, which was forced to merge after managers claimed it was 'struggling' to keep up with demand, has now been put up for sale. The 2,581 sq ft doctor's surgery at Cherwell Drive serves some 4,988 patients across Marston and has been placed on sale for £500,000. In July, the surgery merged with Bury Knowle Health Centre ahead of a planned move to a new site at Northway Community Centre next April. Ahead of the merger Dr Jonathan Bickford from the surgery admitted that it had been a struggle to maintain the service because of recruitment and funding issues. Now, the future of the building is up in the air after property consultants VSL placed an advertisement for the building with a price tag of half a million pounds. Marston councillor Mick Haines called the news that the surgery had been put up sale ‘shocking’. He said: “I am quite surprised it has gone up for sale because it has been going for so long and it is really worrying for the people living in our area. “Lots of people are panicking and wondering where they are going to go. “It is quite a trek to the next one for people going to the surgery. “It is a shock because that surgery has been going for so long and people have used it regularly. “If it goes for sale it will change Marston altogether, so many people have been using it for so many years on a regular basis. “Marston is turning into a scapegoat, everything seems to be happening to Marston and the whole area seems to be affected. Business manager at Bury Knowle Health Centre Stuart Macfarlane assured patients, however, that there would be little change when people are transferred to the new site next year and that the surgery would continue to operate for the foreseeable future. Mr Macfarlane stressed that Bury Knowle Health Centre would not be closing, and only Marston Medical Centre would be moving to the Northway Community Centre. He said: "Marston Medical Centre is not currently closed. We [Bury Knowles Medical Centre] merged with the Marston Medical Centre on July 1 and the premises are up for sale at the moment. "The plan is we will keep the practice open and [Martson Medical Centre] will be moving to the Northway Community Centre which is just around the corner. "We don't expect there to be any issues with the move. We have made preparations for five months in order to keep people informed. "Patients have all been contacted and we were particularly keen that all of that should happen before the sale. "We would expect an orderly process." He added that the planned move is expected to take place in April and stressed that there would be no job losses at the centre as a result. 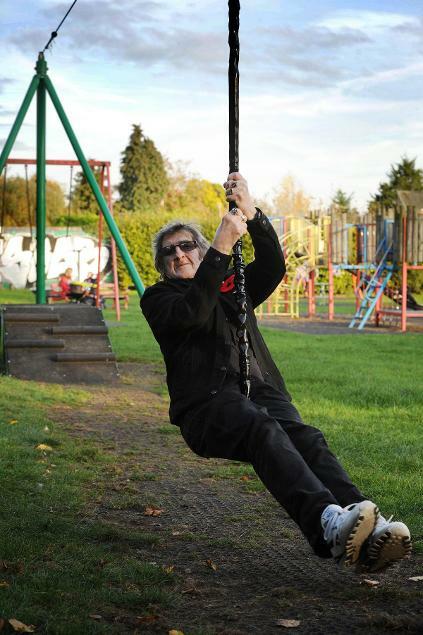 PLANS to inject some excitement into a Marston recreation ground have got off to a flying start after a councillor pledged to install a zip wire in the park. Councillor Mick Haines has pledged to install the feature at the Croft Road Recreation Ground, and hopes to have it up and running ‘before the spring’. 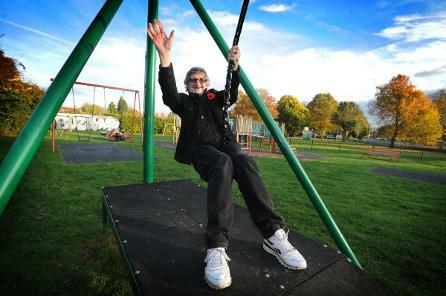 The £5,000 installation allows users to slide on a suspended harness and there are similar zip wires already installed at nearby parks in Northway and Mortimer Hall recreation grounds. Mick Haines said cash from developers after the construction of new student accommodation at Friars Court on Old Marston Road would help make the scheme possible. He said: “I have been for ages trying to get a zip wire in there and now that we have the money we can. “I have got £2,500 from the Friars project and then £2,750 saved from my own council budget and it is costing £5,000 and the park is putting it in. I had seen them at other parks and seen the kids enjoying them and thought it would be a lovely thing to put in. He said having spoken with contractors he hopes the zip wire will be installed early next year He added: “It is quite a long job but I think it will be installed in the spring. Vice chairman at Old Marston Parish Council Duncan Hatfield said: “I think it would be a great thing for the area. “The parish council got one at Mortimer Hall Recreation Ground and before we got it we did a survey with children in nearby schools and that was the one thing they requested most. “I think it will be a great asset. I just think it is fun for the children, it certainly gets a lot of use at the other ground at Northway. Mr Haines met contractors on Friday to discuss where the equipment would be installed and was told early spring was the earliest date. Oxfordshire County Council Leader Ian Hudspeth famously opened Woodstock’s new play area, its first zip wire, by hurtling down a zip line in September 2014 after Woodstock Town Council installed the new play equipment. In May 2015 after two years of planning Oxford’s Herschel Crescent Recreation Ground in Littlemore was officially opened which included another zip wire ride for Oxford. Other recreational grounds have since followed suit by installing the play equipment. ONE of the few remaining pubs in the Marston area of Oxford has been given a reprieve after plans to knock it down and turn it into housing were withdrawn by developers. The Jack Russell Pub, in Salford Road, which has stood derelict since it was sold by brewery Greene King in October 2015 had been earmarked for demolition. An application was submitted earlier this year to transform the site into 16 flats on three floors, together with 19 car parking spaces , an application which was expected to be decided by Oxford City Council. In a U-turn, however, developers last month withdrew its application for the housing development altogether. The news that one of Marston’s last remaining pubs may not be knocked down after all was greeted with relief by Marston councillor Mick Haines. Mr Haines, who previously blasted the housing plans as a ‘carbuncle’ said that he was relieved that the application had now been withdrawn. He said: “I am very pleased it has been withdrawn. “Hopefully now they can get a public place there or something for the community, like a park or something like that, or a space for the community to use. Old Marston Parish Council vice-chairman Duncan Hatfield said: "The plan itself was not welcome. The size of the development was huge and it just wasn't right really. "I think it probably won't be a pub there again. People go to the supermarket for their drinks now, and more pubs are closing down. People are getting their entertainment from the internet. "It is the same with nightclubs which are also closing down. The culture is changing. It is a shame the pub has closed but people just stopped using it." The Bricklayers pub, in Church Lane, also closed in 2010 and subsequently became a housing development. The Cavalier pub, in Copse Lane, followed shortly afterwards and was replaced by flats after being demolished in 2012. 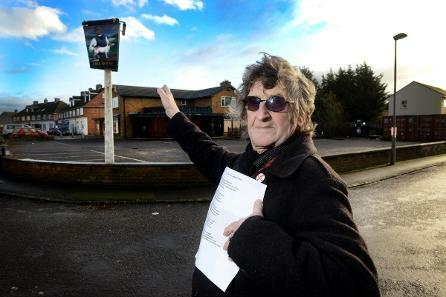 The developers behind the housing project for the Jack Russell Pub were contacted for comment but did not respond.